The son of the wealthy barrister and politician Motilal Nehru, Jawaharlal Nehru became a leader of the left wing of the Congress when fairly young. Rising to become Congress President under the mentorship of Mohandas Karamchand Gandhi, Nehru was a charismatic and radical leader, advocating complete independence for India from the British Empire. In the long struggle for Indian independence, Nehru was eventually recognized as Gandhi's political heir. 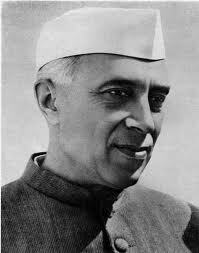 Throughout his life, Nehru was also an advocate for Fabian socialism and the public sector as the means by which long-standing challenges of economic development could be addressed by poorer nations.